A MAJOR makeover at one of Scotland’s oldest golf clubs is celebrating a milestone in the two-year project. The first phase in a £1 million project at Bruntsfield Links Golfing Society will be unveiled to members and guests today in a members’ nine-hole captain v vice-captain team competition. The Edinburgh club, which traces its roots back to 1761 and has been a regional qualifying course for The Open, commissioned top golf course architects Mackenzie and Ebert to redesign several holes and refresh the bunkering around the course. Despite a harsh winter, the new-look 11th, 16th and 17th holes are ready for play. Club captain Mike Smith revealed the ambitious makeover is on track to be completed next year. The most striking feature of work completed so far will test the mettle of golfers off the tee at a new signature par 3 created on the home stretch. “The introduction of a significant water feature at the 16th hole sees golfers face a daunting 170-yard tee shot over a pond to an undulating green,” he said. “This has been created on part of the old practice area. Mike said the 1 st Golf construction team will press on with the project over the summer in the count down to a formal opening scheduled for spring next year. “Their main focus now will be on remodelling the 9th, 10th and 18th holes. “Following a long winter the new areas of the course have settled remarkably quickly. “It is a credit to our green staff that they have got the new holes, and the course generally, playing consistently well. “We never imagined that we’d have the new holes in play by May as we feared the grim winter weather had put paid to that. 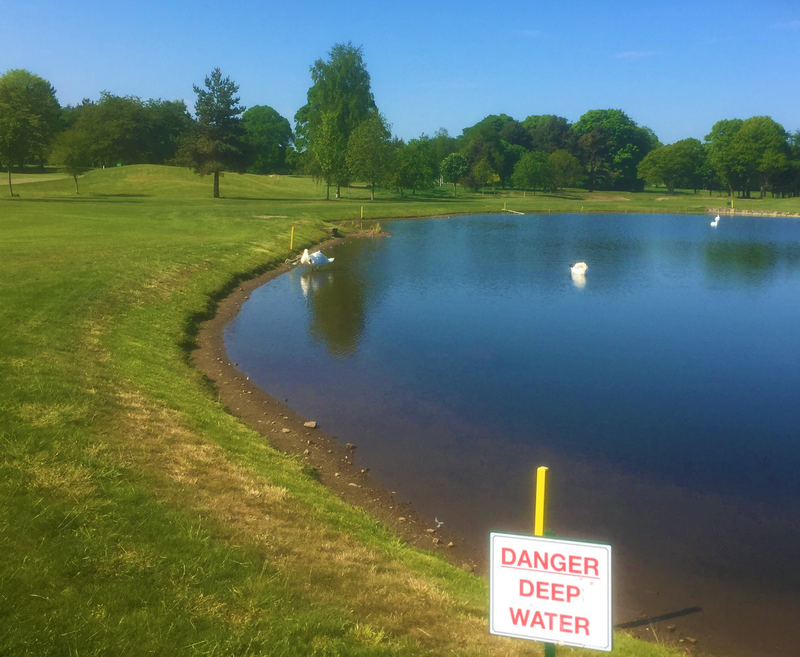 “The new holes will be open in time for the club championships’ qualifying and match play events which all take place in June. It’s all very exciting for the membership. Bruntsfield, which is the fourth oldest club in world golf, bears the stamp of legends Willie Park junior, Dr Alister Mackenzie of Augusta National and Cypress Point fame, and James Braid. Bruntsfield's new par-3 16th hole.